So keep in mind the Nickel and dime are variations of the base 3-4, so that means a majority of the time was spend in a 3-4 concept of a defense. Sub package (anything not 3-4-4) 68..4% of the time. Compare that in 2017 they were in base 38.8% of the time, and in 2016 it was 27.8% of the time. We also turned out the highest rate of 5+ rushers, sending them 36% of the time. Snaps per pressure. Lower the number, the better. Heyward and Tuitt saw their pressure rate dip, Tuitt’s nearly doubled unfortunately, while Hargrave’s literally stayed the same. Literally a carbon copy of last year. 12 pressure, 18.8 pressure rate. He actually saw just a handful of more pass rush snaps in 2018 (226 this year compared to 211 last year). His ability to finish more plays was critical and reason why his sack total spiked. So Hargraves basically stayed the same in terms of production, Heyward and Tuitt saw dips. In the mean time the LB's saw their numbers increase exponentially this year. Meaning the time teams took to double the interior of our front 7, paid off in better pressure from the outside. As much praise that we gave Watt this year for getting to the QB, Dupree was actually really close to matching his numbers. The biggest difference of course was Watt converted more pressures into sacks than Dupree. In terms of target stats for the secondary, Burns gave up the most TD's followed by Davis. Hilton and Burns were 0.2 yards apart in the dubious yards per completion, Hilton turning in the more yards per target though. 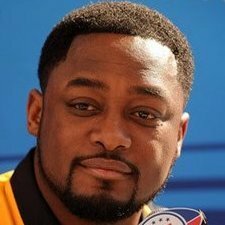 Davis gave up the most TD's per target (almost a 2 targets to get 1 TD rate). Just wondering on this one, but are stunts factored into this -- or mentioned? It seemed like early in the year we were willing to sacrifice Heyward in order to loop Dupree around to get him involved. I remember reading somewhere earlier in the year that they were using Heyward a lot in this means, which was hurting his production -- thought I cant find where that was. Could be an explanation of why Dupree rose and Heyward fell. Or switching sides for Dupree helped him and hurt Heyward asthey would mostly single block Dupree. Well Tuitts rate went down more too. So stunts and flipping of OLBs doesn’t account for both. How about occums razor here guys: teams put added resources to stopping Heyward/Tuitt. Tuitt played like crap for the 1st 1/2 of the season. i am guessing injury but I do not know. It is not hard to guess that Heyward would be doubled most of the time as he is their best Dlineman. Is that really any different from last year? If we are judging YOY, you need to assume differences. What are some differences, Dupree side, stunting more, etc. I dont think Heyward is seeing anymore attention that what he would have been already. So the other possibility is regression. The real Occums Razor is that it was probably --- everything. But Id just like to see if something sticks out. Yes. Like I said, if just Heyward felt the impact you can attribute it easily to Dupree isn't as good as Watt so he would be doubled easier. But Tuitt felt the same impact as Heyward, and he had Watt on his side. So how do you explain that one, unless you go with they doubled both and the HB protection was pushed to the interior rather than exterior. Like jebrick mentioned, Tuitt could be injury. He did miss time this year and his history that shouldnt surprise anyone. I understand Watt vs. Dupree -- but how much impact are we talking here? Watt is our best OLB but he didnt really light the world on fire last year. It's not switching from Prime Harrison to Dupree. I just cant imagine the way teams attacked Watt last year to Dupree this year was severely different. RBs are generally taught to work middle out, so thats not going to have a huge impact either. What was the rate at which we send ILBs this year compared to last? Those are the times that lineman have to peel off a double to pick up a blitzer. If we just sent more edge pressure this year that could attribute to it as well. It’s in the article. Blitzed more this year and OLBp dropped less. It comes down to they wanted to get more pressure. What’s the best way? First, have the interior do more occupying and the edges focus on beating 1-on-1. Second is blitz more which means interior opens gaps. They got more pressure but had to blitz to do it. Pressure was suppose to help the secondary but did not help as much as we would hope. My question wasnt IF we blitzed more, its WHO blitzed more - which isnt really covered in the article. We dropped our OLB less than before, which theoretically means our ILBs were the ones who caught those coverages. If we did not send our ILB as often that can account for a lower percentage of success for our DL as that pressure is the one that forces sudden focus change on the people blocking them. If we sent more CB pressure than interior pressure, then it links to why our OLB had more success this year to last -- the additional help rushing to the outside would stretch resources to block it there, freeing up more OLB pressure. Those are the things I'm curious about for the drop on Heywards play. If we sent our CBs more and our ILB less, that leaves him to deal with doubles on his own. If we sent him on more stunts to free Dupree, we sacrificed a better player for a worse one. If they sent 5 more this year, and kept their OLB in to rush more -- then my question is where did the 5th guy come from the most. Again, its probably a mixture of a dozen things, but I am curious to know if one thing sticks our more than another. some stunts free up Heyward and some free up others. We do not know the blocking assignments that give VWill Or Watt a free run at the QB. That stuff won't answer as much as you think TBH. The thing that thicks out more than anything else is the fact that we did blitz more. Those things won't tell you if they had those guys two gap more, or if they had other responsibilities. In the end for blitzes to work better (and they did) there needs to be a clean lane for the blitzed to get in there. Our ILB's having good pressure rates tells me that those guys were two gapping more often than not. Stunts don't mean sacrificing a better player for a worse one. It's a move to make players on the offensive line adjust. You can blitz behind a stunt, run a straight swap stunt, a drag stunt, loop stunt, power stunt. Who blitzed more also doesn't tell you much either because it doesn't depend as much as where the blitz came from as much as what the type of blitz was. Was it overload, contain, free run, run blitz, screen blitz? You can run a corner blitz that fits all 3, but what they have to do as part o that changes. Overload, the idea is to send more rushers than there are blockers, assignments be damned. Contain blitz requires interior DL to 2-gap. Same with free run depending on where from. I understand that there is obviously more detail to be sought, but at the end of the day I think you can make a realistic assumption of where the pressure comes from based on who is being sent. Mike Hilton doesnt often venture inside as Vince Williams isnt often on the edge. If we dropped the OLB less often and sent 5 more often...again, assumptions can be made that we sent the same 4 -- Dupree, Heyward, Tuitt, and Watt-- with 1 additional blitzer. I would just imagine you could assume that - most likely - if Hilton was sent more this year, he helped the OLB as if Williams was sent more last year, he helped the DL. The same way I would just like to understand if Heyward was used more this year on stunts than he has been in the past. Have we just let him loose to cause havoc more in the last few years or was it the same usage, just different results? I understand there are more than one stunt, but the ones I can remember seeing are where Heyward takes the wide angle to the QB on the outside and Dupree loops around and comes shooting up the middle free. That's a Dupree pressure and a nothing from Heyward. I just want to know if that is happening MORE this year than is has in the past. Again -- its all assumptions and you call sell numbers anyway you want, but its reasonable, I think, to see if Heyward was used differently (or if players around Heyward were used differently) to define the drop in play. If Heyward was used in stunts more YOY and if we blitz our ILB less YOY, to me that is a direct line that puts more pressure on Heyward both working more ground to the QB and working more secured double teams. I would just imagine you could assume that - most likely - if Hilton was sent more this year, he helped the OLB as if Williams was sent more last year, he helped the DL. How do you come to that conclusion? Because it’s pretty much the opposite. Corner blitz requires the edge to gap control to open up the CB lane. Fire Blitz (any A or B gap blitz) requires the DT/DE (3-4) to 2-gap and ensure a clean lane.